Stone veneer panels are manufactured to make stone veneer application simple and quick, even for do-it-yourselfers. The panels are prefabricated with pieces of real or manufactured stone glued to a base to create a “sheet” that can be applied to a wall surface. 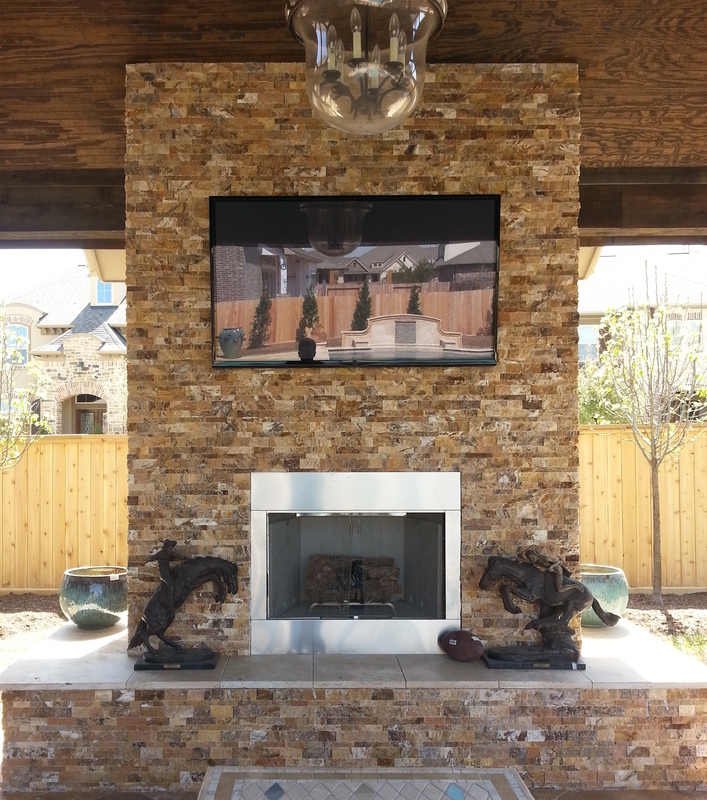 The process requires no experienced workmanship, artistry, nor does the finished product display unique touches that characterize individually applied stone pieces. What are the Drawbacks to Using Stone Veneer Panels? While stone veneer panels are less expensive to install, they do not evoke the natural feel of professionally installed stone. The creativity of an experienced stone mason applying the individual unique touches and angles to the placement of individual stone pieces is obvious when compared to the unnatural uniformity of pre-made stone veneer panels. The pattern options for stone veneer panels are limited. Since individual stone pieces applied by an expert results in unique style, prefabricated panels tend to replicate layered ledgestone. Stone veneer panels are not viable for exterior use, particularly in colder regions where temperatures vary considerably from season to season. The glue used to attach the stones plus the potential for moisture invasion makes veneer panels mostly an indoor option. Before considering these products for any project, consult with claddings experts like PetraSlate Tile & Stone in Denver to discuss the viability of stone veneer panels for your project. No matter what the project involves, choosing proven and experienced installers to install stone veneers is an essential starting point. Professionals apply premium individual stone pieces with a style and artistry that a prefabricated panel cannot duplicate. Consider that any construction or remodel is intended to impart a lifetime of enjoyment and pride. Wasting money on a less than genuine veneer will eventually result in dissatisfaction and a likely do-over. PetraSlate is a leading distributor of world-class tile and stone products for home construction and remodeling. Experienced in supplying materials only to the highest quality builders and re-modelers, PetraSlate’s philosophy is to provide world-class products for any project. PetraSlate professionals know that any remodeling investment is the customer’s long-term asset and only the best products survive the test of time. For questions about comparing stone veneer panels with professional installed stone surfaces, contact PetraSlate at 202-280-9595. Visit the PetraSlate Tile & Stone website to view their wide range of creative solutions for home or business remodeling and construction.